Before I begin listing what I believe are the best supplements for strength training, I want you to understand and/or remember that supplements are just supplements! What I mean by that is simply that the absolutely most important thing for you to get a strong and healthy body is that you do well-structured workouts, have sufficient rest in between, get quality sleep and of course that you eat a lot of good food. Many supplements will in varying degree speed up the process and make your life easier, but that is only if you are already taking care of the most important things I just mentioned: workouts, rest, sleep, and nutrition. Taking supplements cannot make up for adhering to any of these things poorly, and even if they could you would be using them wrong in my opinion. Supplements should be used to enhance your good efforts – not make up for slacking. Another way to look at it is that if you are not taking care of the important things first, you might very well be wasting your money when using supplements. The health and fitness supplement industry is stupendously big. Most of the companies have a huge variety of products for different purposes, and they want you to buy them all of course. If you don’t feel like using all your money on supplements it can be confusing which you should choose. Not all supplements are equally important or worth your money for that matter. I am not saying that some supplements do not work, but rather that their effects are too insignificant for most people or lack sufficient documented research to substantiate claims. I think protein powders are great. If you buy in bulk they are inexpensive and a pouring down that protein shake is both convenient and very tasty. To me, it always feels like a small reward. Protein powders absolutely work, and they work very well. However, it is still completely depending on how much protein you are already getting through your diet. I have made a specific post on protein powders and if you should use them. Check out for detailed information. Creatine is another great and inexpensive supplement. I would even go so far to say it is the most affordable one. There are a number of variations of creatine with other names than creatine monohydrate. Because creatine monohydrate is the most researched and with most confirmation of its beneficial effects, I would just recommend you to chose creatine monohydrate. Creatine monohydrate is a natural component that is already in your skeletal muscles. 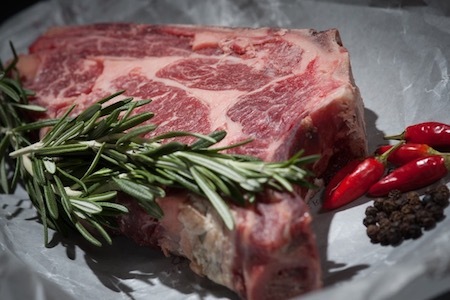 You get a tiny bit through your diet from different types of meat and especially red meat. More precisely it is an organic compound that consists of three different amino acids and it works as a fuel source for your muscles. Unlike protein powder supplementing with creatine is your only choice if you want the beneficial effects since you would have to eat several kilograms of red meat every day in order to get the same effects. It enhances your muscles’ ability to work both harder and longer, which consequently can lead to an increased rate of strength and muscle gain. According to most research, this is somewhere between 5 – 15 % for most people. An interesting and important thing to note is that people react differently to creatine. Some will get a significant boost in performance while others might be incremental. Surprisingly enough a small minority experience very little effect or no effect at all. This is something to keep in mind when trying out creatine for the first time. You might want to buy a small pouch at first to check if it works for you. Personally, I get decent results and I would recommend anyone to try it out. Creatine also has other health benefits like speeding up recovery and boosting brain performance. Furthermore, there is some evidence that it might assist in retaining muscle mass if you are in a calorie deficit. I really think creatine is an awesome supplement and it works well for a big majority of people. There is a lot of information and also some misinformation on the internet about creatine. Because of this some of you might have several concerns and questions about this supplement which I am addressing here in order prevent this post from being too long. BCAA consists of 3 essential amino acids: leucine, isoleucine, and valine. The name refers to the molecular structure of the amino acids. Amino acids are the constituents of proteins, and these are essential because the body can’t create them by itself. There are 9 essential amino acids. You are already getting BCAA through the different protein sources in your diet and from this perspective, there is nothing unique about the supplement. The advantage comes from 1) the fact that they are absorbed directly since digestion is unnecessary, and 2) that these amino acids especially leucine heavily stimulates protein synthesis. Stimulating protein synthesis increases muscle growth and that is obviously a good thing. The effect of increased protein synthesis assists and speeds up muscle recovery, but perhaps more interestingly it can be leveraged to alleviate the protein breakdown happening in the body in specific situations. E.g. a calorie deficit or working out on an empty stomach followed by several hours of no food. Seniors looking to gain strength and muscle could also benefit from increased protein synthesis since it naturally lowers with age. A less documented effect of supplementing with BCAA is reduced tiredness. Since BCAA inhibits production of serotonin, which is a neurochemical that is linked to different emotional states including tiredness and fatigue, supplementing with BCAA could reduce your perception of tiredness. BCAA definitely has some benefits but compared to creatine and just normal protein powder I personally think that there are not enough benefits for the average person to justify daily use. Buying BCAA’s also tend to be a bit a pricy and if you are consuming protein powder you are already getting some BCAA’s. However, if you are doing intermittent fasting strategic use of BCAA could be a good option. 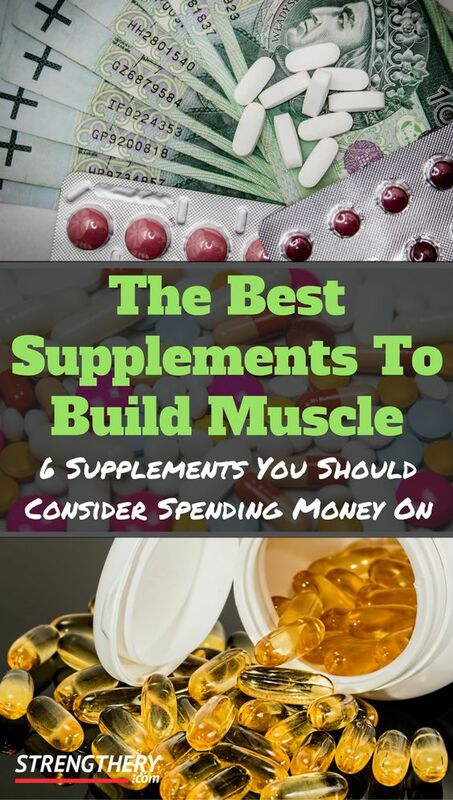 There are a number of general supplements that I would recommend, even though they unlike the three above do not directly affect or accelerate strength and muscle gain. These supplements can potentially have significant health benefits for you. Having a healthy body is very important for seeing a long-term strength and muscle gain which we, of course, all are interested in. Surprisingly this vitamin is actually not a “real” vitamin like the others. D-vitamin can be created in the body but requires regular sun exposure to the skin in order to produce it. D-vitamin is responsible for a lot of different things most importantly absorption of different minerals, regulating hormones and has a role in the immune system. If you live in a country that has winters with little sun or very rarely is exposed to the sun generally, supplementing with D-vitamin is crucial for your health. It is also very inexpensive. To be honest, I think that the need for supplementing with D-vitamin is underestimated by many people. The non-profit organization Vitamin D Council has some good information on it. If you for whatever reason don’t have a varied diet, suspect you have vitamin or mineral deficiency or just want to be on the safe side eating a multi-vitamin can be a great option. That way your body will take from it what it needs the most. Fish oil is a commonly used supplement and for a good reason. It has numerous health benefits that enhances your overall health. Fish oil is extracted from the fish tissue and is literally the fat or oil from the fish. It is rich in what is called omega 3 fatty acids which are essential since the body cannot create them by itself (or at least only to a very limited extent). More precisely the fish oil contains two very important fatty acids called: docosahexaenoic acid (DHA) and eicosapentaenoic acid (EPA). Omega 3s can also be found in some plants, but they will mostly contain another fatty acid (alpha-linolenic acid or ALA) which is not as beneficial. When you are looking at the label of fish oil container, you want to look at the amount of DHA and EPA. 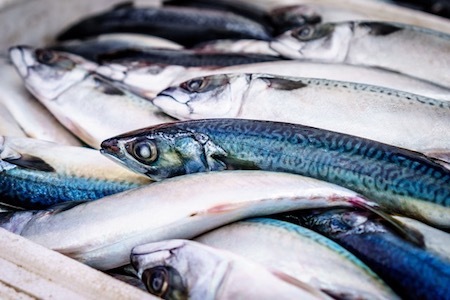 Fish oil aids in mental health and keeps your bones strong. There is also evidence that it helps to protect your eyes and heart. But the thing I think is really important is that it reduces inflammation. Check out my post on fish oil if you want to know more about why it is good for you, and what my recommendations are. Do you take any supplements? I would love to hear from you about which supplements you use and why. Also, if you have any questions feel free to ask. You can use the comment section below. Love your recommendations, especially the vitamin D and Fish Oil. Vit D3 for example is proven to boost T, and good fats are essential for testosterone production. However, I’ve heard that Creatine is to be banned in the US, because it’s speculated that the FDA considers it a steroid. Is there any thruth? Yeah vitamin D and and fish oil are awesome! Regarding creatine I am not sure it ever was considered a steroid, but when it was used in its early days after discovery in 1992 the research was still unclear whether it was completely safe. However, that is not the case any longer. All research (and there is a lot!) shows that it is completely safe also for long-term use unless you have some special medical condition. I know creatine was banned before by some of the american sports leagues, and I think some US universities are still keeping it banned. But it has never been on the World Anti-Doping Agency’s list of prohibited drugs. Great post Marcus there are definitely a few more things I need to consider when I want to up my training again. I’ve been interested in creatine monohydrate because of the effects I’ve heard it promotes. I know there’s a certain way you’re supposed to consume them and gradually get your body use to them so do you have any content that would guide me on this? When that is said creatine monohydrate does work well and even for some it even works very well! I just published a new post on creatine. I think all your questions will be answered there.